Press photographs are different from advertising or art photographs. Press photographs are about the news. News is something few people are aware of or something that recently happened or is still ongoing. For example, that thousands of refugees have recently crossed the border or that the planet is warming. News is something that has major implications for many people. For example, a major flood in a densely populated area. Or a war that recently broke out. A press photograph shares the state of the world with the viewer and makes the viewer part of the event. The motivation of many press photographers who work in difficult environments (e.g. war zones or area where famine or natural disasters occur) is to show the world what is happening in these areas, often in the hope we might do something about these problems. A press photograph shows news, or places important social issues in a new light, such as the series about orang-utans in Sumatra. Finally, there are also press photographs that explore the news in further depth; the background reports. An example is the Ebola Survivors Football Club series. The photographs show how a community deals with the illness that disrupted whole villages and is already forgotten by most of the world. Founded in 1955, the WPP Foundation is an independent, non-profit organization based in Amsterdam, the Netherlands. Over the years, World Press Photo has grown to become an independent platform for photojournalism and the free exchange of information. The WPP Foundation is a major force in developing and promoting visual journalism. 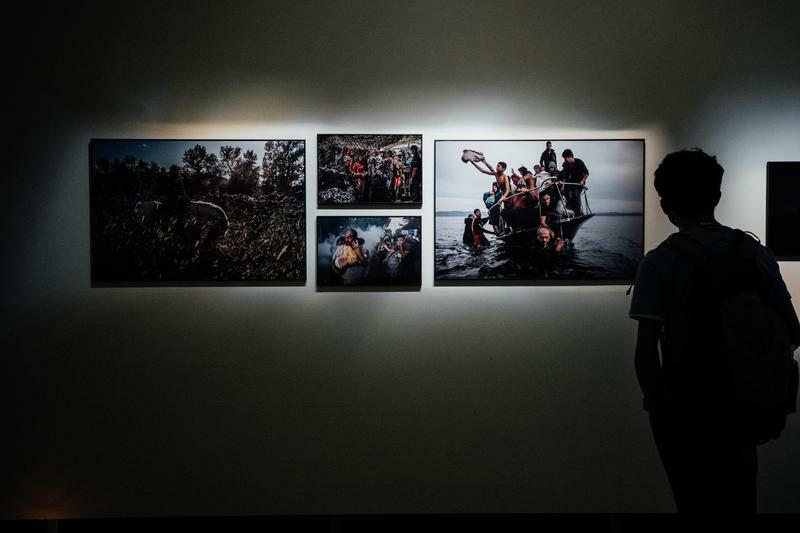 Through one of the most prestigious awards in photojournalism and multimedia storytelling, an worldwide exhibition, and extensive research and training programs. Also in countries where journalism and photojournalism are limited, seminars and workshops are help that are accessible for individual photographers, photo agencies and image curators. This year, 5,775 photographers from 128 countries submitted 82,951 photographs. They were judged by independent international jury consisting of recognized professionals in the field of press journalism. The winning photographs were assembled into this traveling exhibition, which goes to 100 locations in 45 countries. ★The WPP Foundation website for more winning pictures and stories, including technical information about the photographs, along with interview of the photographers.